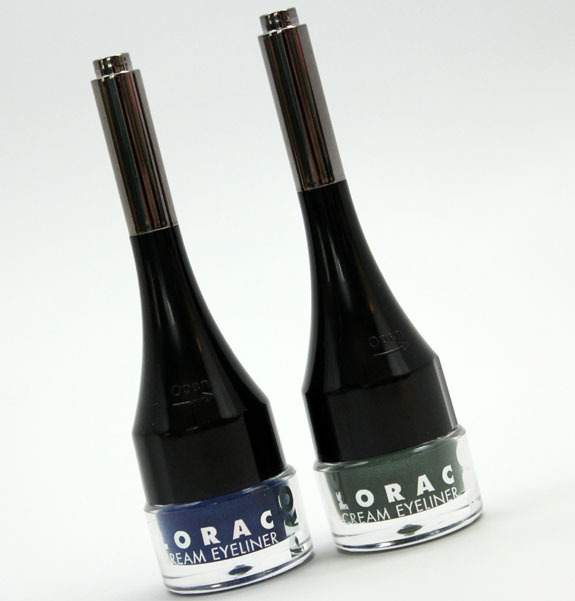 LORAC PRO Cream Eyeliner now comes in four new metallic shades: Sage, Cobalt, Black Ruby and Copper. These long-wearing cream liners come in little pots with a long cap and a small applicator brush hidden inside. I love the idea of this, very convenient! The liners have vitamins C and E inside and are paraben-free. Sage is a kind of muted sage green with some slight shimmer and a metallic finish. 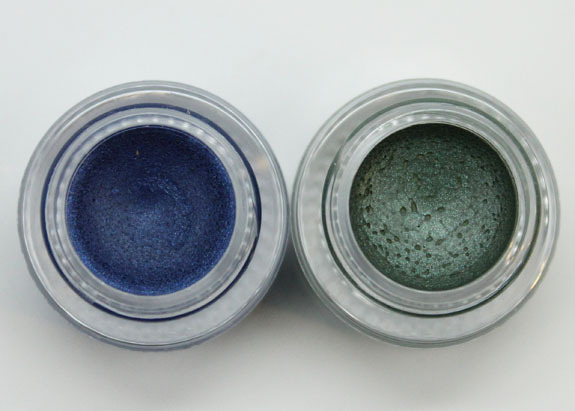 Cobalt is a bright blue with some slight shimmer and a metallic finish. Ok so…these weren’t the most intense cream liners I have ever used. 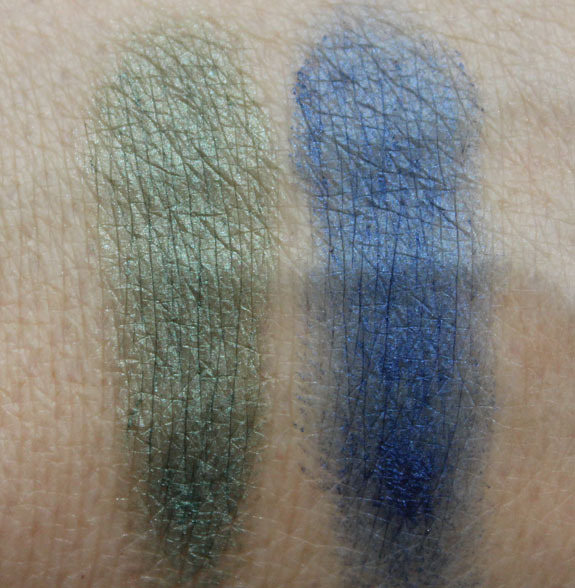 I am actually wondering if mine were already a bit dried out because I had a bit of a hard time getting good swatches. 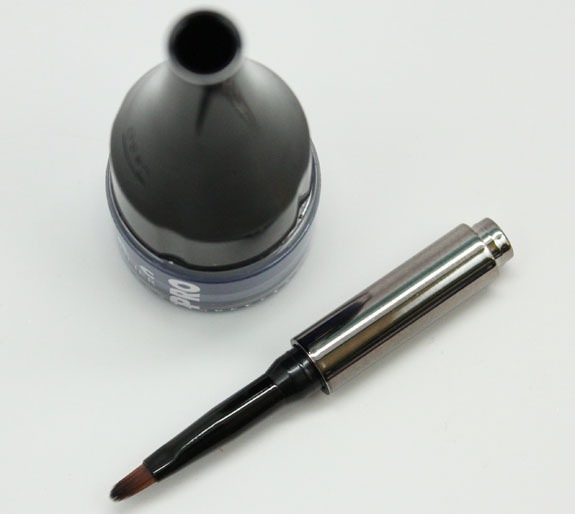 I wore Cobalt one day, and used the applicator brush it comes with. I had to dip back into the pot MANY times to get a decent amount of pigmentation and even coverage. So my experience wasn’t the best with these. On the plus side, they do stay put all day once they are one and don’t smear or move around. Overall: Definitely not the most pigmented cream liners I have used. I wish there was a lot more pigmentation and they were a little smoother in application. But again, maybe mine were dried out because they kind of had that feeling to them. I do like the applicator brush, it actually worked fairly decently. Availability: LORAC, Zappos, Sephora inside JC Penny stores. Pricing: $19.00 for 0.08 oz. 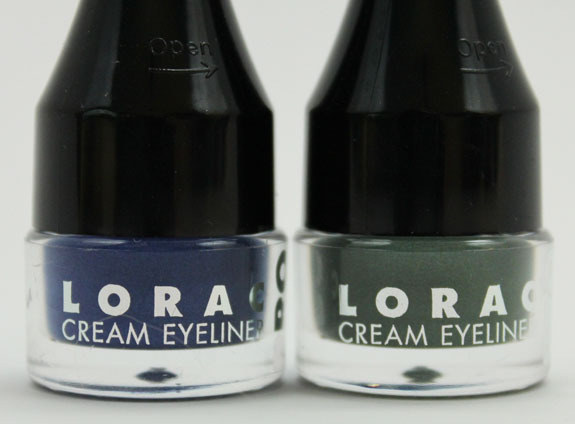 Have you tried any of these liners from LORAC yet?